Selecting a right size air conditioner for your home or business is a big decision. It’s an important investment today. It will play a key role in your home energy expenses for years to come. And when the summer heat is at its worst, you’ll want to have the best, most reliable cooling comfort possible. Here are a few things to consider. With a new air-conditioning system, you can enjoy the cost savings that come from increased energy efficiency year after year. And when you purchase your system through a HVAC Contractor, you can benefit from valuable rebates. A Participating Independent Contractor will recommend the most cost-effective solution for you and will install the system to meet local power company's service standards. 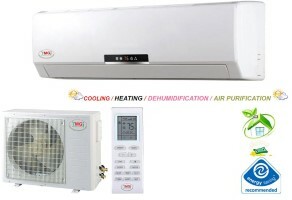 > Straight cool system – an air-conditioning system that includes a cooling cycle only. Gas, oil, or electric strip heating may be included in straight cool systems. > Strip heating (or resistance heating) – a form of electric heating, which may be used in climates where heat is used infrequently. Air is blown over electrically heated metal coils and circulated into the living space. > Heat pump system – cooling and heating system that provides a cooling cycle during the summer and a heating cycle during the winter by absorbing heat from the outside air and transferring it inside. Heating is provided at about half the cost of electric strip heating. »» Does your system undergo frequent repairs? »» Has your system experienced a major component failure? »» Are you continually receiving high electric bills? »» Is your air conditioner working harder to keep your home cool? If your system is more than 10 years old and you answered yes to any of these questions, you may benefit from replacing your system and taking advantage of lower long-term costs. –– System type – straight cool or heat pump? – Efficiency – what efficiency rating is recommended? – Additional rebates – are other rebates available? – Warranty – how long are parts and labor covered? –– Are preventive maintenance programs available? –– Will a programmable thermostat help you save even more? –– Does your duct system have holes or leaks that need repair? –– Is your home’s ceiling sufficiently insulated? When shopping for an air conditioner, first determine which type of system best suits your needs. Whether it is central air conditioning, ductless split system or room air conditioner. Central air conditioners or ductless split systems are designed to cool an entire house or a commercial building depending upon how big are small the property is, while room air conditioners are usually window-or wall-mounted units that only cool or heat the immediate area. Proper sizing is very important for efficient air conditioning. A bigger unit is not necessarily better because a unit that is too large will not cool an area uniformly. A smaller unit running for an extended period operates more efficiently and is more effective at dehumidifying the room than a large unit that cycles on and off too frequently thereby leaving the room humid. When determining the appropriate size air conditioner for your application, consider the dimensions of the area to be cooled. Based on size alone, an air conditioner generally needs 20 Btu for each square foot of living space, but then you need to add or substract btu's based one other variable factors like Sun, Insulation, Local Climate, Shading, Window size and quality, Height of the Ceiling etc. > When considering several comparable units, select the unit with the higher SEER. > Verify that your home's electrical system can meet the unit's power requirements. > Look for a unit whose filter slides out easily for regular cleaning. > Select a unit with logically arranged controls, a digital readout for the thermostat setting, and a built-in timer. »» The system’s total cost – including purchase price, installation and monthly operating costs. A high-efficiency system may cost more initially, but saves you money in the long run. »» The differences between systems – use the enclosed worksheet to compare the air-conditioning units you’re considering. »» You should also compare and consider: unit size, price, efficiency rating, power company rebates available, estimated yearly operating cost, annual savings and payback period. While it may cost more initially, ultimately the unit will pay for itself with the money you’ll save on your electric bill. To determine the payback period for a high-efficiency unit versus a standard/lower-efficiency unit, simply work with your contractor and they should be able to help make the right choice accordingly. How important is it to have a quiet heating and air conditioning system? Extremely important. Sound intensity is measured in units called decibels (dB). A normal conversation is about 60-70 dB. A telephone dial tone produces 80 dB; a lawn mower produces 107 dB or more. Sustained exposure to sound levels of 90-95 dB may lead to hearing loss, so it’s important to own the quietest heating and cooling system you possibly can. Heating and cooling systems sizing is based on B.T.U.H. (British Thermal Units Per Hour). Air Conditioning and Heat Pumps are also rated in tonnage. 12,000 BTUH equals one (1) ton. Residential systems can range from 1 to 5 tons. Why is a matched system important? A matched system is important for a variety of reasons. One is comfort. When all our components are properly sized to your home, you can control exactly how much heating or cooling you need so you can relax. Also, a properly sized matched system enables every component to perform as designed, meaning proper cycle times are maintained, humidity is controlled, and system sound is minimized. Another reason matched systems are important is efficiency. Most people buy systems that are too large for their homes, meaning they pay to heat and cool space that isn't even there. A matched system outlined by a dealer who has completed a load calculation for your home provides just the right amount of heating and cooling you need so you get the most value for your utility dollar. Are there any air conditioning systems that are safe for the environment? Yes. Several manufacturers have developed new systems that contain the environmentally friendly R410-A, or Puron, refrigerant. What is the estimated electrical consumption of an air conditioner per month? Estimated Electrical Consumption = Input (kW) X No. of hours used X No. of days per month X Current Utility Rate. What is a Zoning System for HVAC? Zoning divides your home into separate comfort areas and makes your comfort equipment cool or heat only areas that need conditioning. For example, a living room with large windows may stay too hot in the summer and too cold in the winter. A zoning system will send more conditioned air to the living room to make up for the heat gained or lost through the windows. Why zone? Today's families have different lifestyles and comfort needs. Maybe you have a home office that needs extra conditioning during the day and none at night. Or you only use the upstairs or back bedrooms when guests visit. Whatever your needs, zoning can keep each area of your house at the perfect temperature for you and each family member. When should I install zoning? If you are replacing your air conditioner, furnace or heat pump, it is an excellent time to install a zoning system. When you new comfort equipment is matched with a zoning system, you will have precise control in each zone. Houses that had been nearly impossible to keep comfortable are a thing of the past. Zoning is also excellent for new homes since it is installed during construction. If you are buying a new home, check with your builder about a zoning system. It could make the difference between just enjoying your new house and being truly comfortable in it. What are some of the features of a good Air Conditioner? # Auto-restart is a must for brown out periods. Power outages are hard on compressors, but with this feature the unit will restart after a power failure without harming the unit. # EnergyStar compliant and a high EER will save in energy costs. # Programmable or delay start settings are ideal for having the room cooled just before you return home. Are Heat Pumps any good for allergy & asthma sufferers? Catechin Filter: Dust, mold spores and micro-organisms are absorbed onto the filter by static electricity and growth is inhibited and deactivated by the polyphenol ingredient extracted from apples. 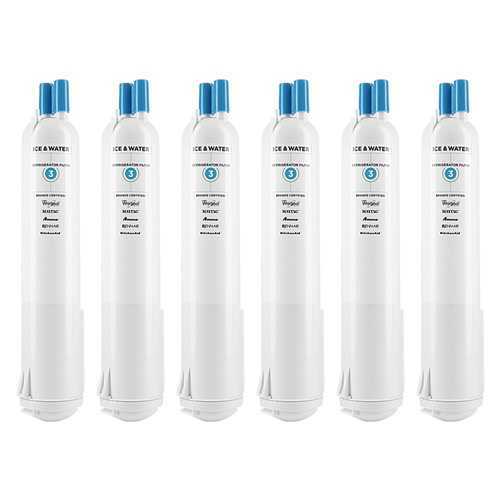 Ion Deodorizing Filter: The filter deodorizes by powerfully decomposing absorbed odours using the oxidizing and reducing effects of ions generated by the ultrafine particle ceramic. Plasma Filter: High performance electronic air cleaner removes dust and odour, improving indoor air quality. What is difference between air conditioning, comfort cooling and close control? Inverter technology uses a variable speed compressor motor similar to a car. It simply slows down and speeds up as needed to hold a selected comfort setting. Inverter technology provides a more precise room temperature without the temperature fluctuations of fixed speed systems. Two-stage cooling means the air conditioner (or heat pump product) has a compressor with two levels of operation: high for hot summer days and low for milder days. Since the low setting is adequate to meet household cooling demands 80% of the time, a two-stage unit runs for longer periods and produces more even temperatures. Longer cooling cycles also translate to quieter, more efficient operation and enhanced humidity control. Compared to a single stage unit, a two stage air conditioner (or heat pump) can remove twice as much moisture from the air. This is important because when moisture levels are high, there's a higher potential for mold and other pollutant problems. Which type of air conditioners make the least noise? Air conditioners have improved over the years and are generally not as noisy as they were a decade ago. But, as a general rule, split air conditioners are quieter than window air conditioners. So, if you are a light sleeper or if noise is a big concern for you, a split AC is your best bet. What do the air conditioner efficiency ratings mean? SEER (Seasonal Energy Efficiency Ratio) is a system for rating the efficiency of cooling equipment. The higher the SEER rating, the less your unit will cost to operate. SEER ratings range from 13 SEER (which is the lowest possible efficiency air conditioner product that is manufactured - and thus is the unit which uses the most energy to operate) to over 20 SEER (the most efficient manufactured air conditioners which uses the least amount of energy). What is the importance of EER? There are many goals and benefits of utility sponsored Efficiency Programs. Among these is education for the purpose of using energy wisely. From this a rating system to establish standards for energy consumption has been developed. One way to measure energy consumption is Seasonal Energy Efficiency Ratio (SEER). SEER is a measure of efficiency over an entire cooling season. SEER ratings are useful in determining the amount of energy used and the amount of energy saved. Often, the unit of measure associated with SEER is kilowatt-hours (kwh). A kilowatt is 1000 watts used for 1 hour. SEER = Seasonal BTUs of cooling / Seasonal watt- hours used. There is more to energy consumption than kwh. Another measure of energy (and thus energy efficiency) is demand. Demand is the maximum amount of electricity used by an air conditioning system. This usually occurs at start up. The unit of measure associated with demand (or peak) is Energy Efficiency Ratio or EER. EER = BTUs of Cooling @ 95F / Watts used @ 95F. Almost all air conditioning units are tested under the same controlled and specific laboratory conditions to determine the EER rating. Your local sponsors, and the country as a whole, are concerned about using energy efficiently. Efficient usage occurs both in the seasonal and peak arenas. Many advocacy partners in the industry recognize SEER alone does not address demand savings. Use of EER as an industry standard is in an attempt to for continued improvement in demand performance. HSPF (Heating Seasonal Performance Factor) is a term used in the heating and cooling industry. HSPF is specifically used to measure the efficiency of air source heat pumps. The higher the HSPF rating of a unit, the more energy efficient it is. HSPF is a ratio of BTU heat output over the heating season to watt-hours of electricity used. Depending on the system, an HSPF ≥ 8 can be considered high efficiency and worthy of a US Energy Tax Credit. Packaged terminal air conditioning units, PTACs, are typically selected where individual zones have an outside wall and are conditioned separately with individual occupant control. PTACs are well suited to hotels, motels, nursing homes and apartments. As the name implies, a single package contains all the components of an air-cooled refrigeration and air-handling system in an individual package. Units are designed for through-the-wall installation, with decorative outdoor grilles as an option. Units are also available with various heating options-electric resistance or hydronic. Other variations include the Packaged Terminal Heat Pump (PTHP). The most common central cooling system is a split system, which includes an outdoor cabinet containing a condenser coil and compressor, and an indoor evaporator coil, usually installed in conjunction with your furnace or air handler. The compressor pumps a chemical called refrigerant through the system. What is ceiling suspended air conditioning? Ceiling suspended air conditioners are extremely discreet, with only the grill showing in the ceiling. The air conditioner automatically adjusts its performance to meet the changing needs of the space while maintaining the desired temperature. Ceiling cassette systems provide both heating and cooling and are popular in commercial applications such as offices, conference rooms, restaurants, night clubs and bars, as well as new construction condominiums and homes. What are concealed duct units? Made for the area where you need concealed air conditioning. Concealed duct units, as the name suggest, cand be seated above the ceiling where they can be hidden. DC inverter swing compressor is very quiet in operation. The result is a reduced sized DC compressor which, in addition to providing greater performance, allows the appliance to heat up efficiently even when the outside temperature is very low. The outdoor units are neat, sturdy and can easily be mounted on a roof or terrace or simply placed against an outside wall. Whisper quiet operation sound pressure level, unlike conventional systems providing greater room temperature stability and comfort with limited noise. What are mini split air conditioners ? What Are the Advantages of Ductless Technology? With a ductless system, the temperature of each room or zone can be individually controlled. For AC models, the indoor unit for each room or zone can be individually set for cooling, ventilation or dehumidification. Heat pump models also offer a heating option. A conventional HVAC air distribution system, or duct system, is not required for system operation. A ductless HVAC system can be used to cool or heat your entire living space. 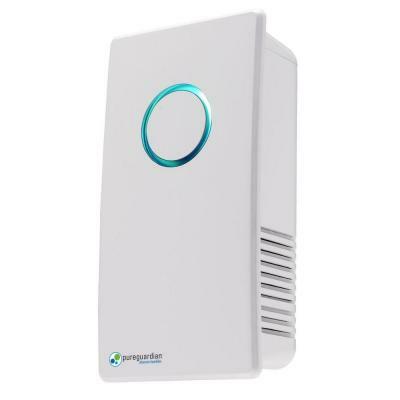 It can also supplement your existing HVAC system or condition hard-to-reach areas of your home. Ductless systems are fully customizable, allowing you to mix and match indoor and outdoor units to create the system that most closely meets your needs. Ductless systems can be as much as 50 percent more energy efficient than similar-capacity ducted models. A ductless system consists of a single outdoor unit connected to one or more indoor units, which can allow the homeowner to save even more money on utilities by using only those units that condition occupied rooms. A ductless air conditioner can be used in places where portable window air conditioners can't, such as in a room that doesn't contain a window. Ductless systems maximize efficiency by eliminating the warm or cool air losses that typically occur with traditional ductwork. Ductless systems eliminate the need for duct cleaning, maintenance and repair. Ductless HVAC systems operate more quietly than their ducted counterparts. What are appropriate applications for a ductless system? Replacing an existing zonal heating system – Ductless systems are ideal for replacing or supplementing inefficient electric baseboard, wall or ceiling units, woodstoves and other space heaters such as propane or kerosene. A cost effective electric heat conversion in a small house might consist of single system serving the main area of the house, while leaving existing electric baseboards in bedrooms and bathrooms. Room additions – A ductless system can also be implemented when a room is added onto a house or an attic is converted to living space. Rather than extending the home’s existing ductwork or pipes, or adding electric resistance heaters, the ductless sytem can provide efficient heating and cooling. New construction – New home designs can be adapted to take advantage of a ductless system’s many benefits. One or more systems might be installed in various “zones” of the house to simplify installation and minimize refrigerant line length. A portable air conditioner is a self-contained free standing unit that typically sits within the area that is intended to be cooled – providing traditional ‘refrigerant driven’ air conditioned air. How many types of Room Air Conditioner are available? Three types of room air conditioners are available: (1) window models that can be installed in most double-hung windows; (2) wall units that can be installed high up on the wall (3) (PTAC) built-in models that are encased in a sleeve installed in the wall but at the floor level.